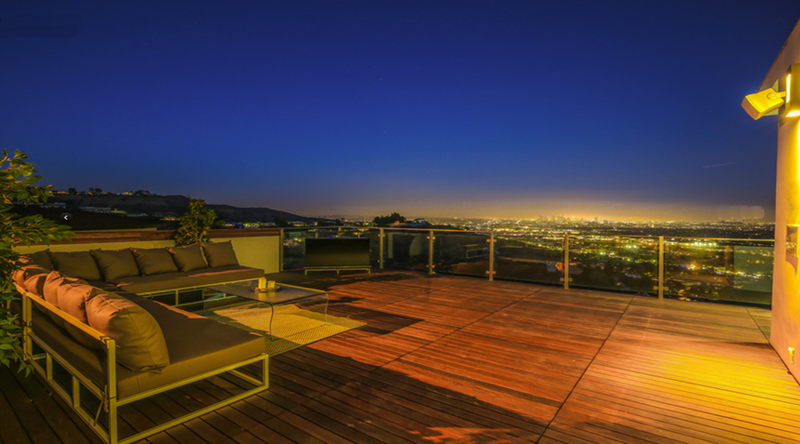 SOLD [MULTIPLE OFFERS] $1,995,000 MODERN VIEW. Impressive Los Angeles modernist hilltop haven accented by exciting panoramic vistas of downtown and surrounding hillsides will meet any modern purists expectations. Created for seamless indoor-outdoor flow, and especially for those who love to entertain, every room leads to breathtaking outdoor living spaces. Dine alfresco enjoying explosive city lights, and a warm glow radiating from your brilliant white modern dream home. Newly introduced, with a focus on luxury details, the open air kitchen received high-end modern stainless steel Bosch appliances, Silestone island with fabulous Grohe Minta Touch faucet. The inviting bathrooms also feature Grohe appointments, custom water-efficient sinks, and wonderful custom tile work. By the numbers: 3 bedrooms, 3 bathrooms, 1 workshop/studio, 1 car attached garage, 2 car driveway parking, 1 minimalist gas fireplace, Wonderland schools.